The original Macintosh, released in early 1984, was a groundbreaking machine built to “put a ding in the universe,” and its creators knew it. 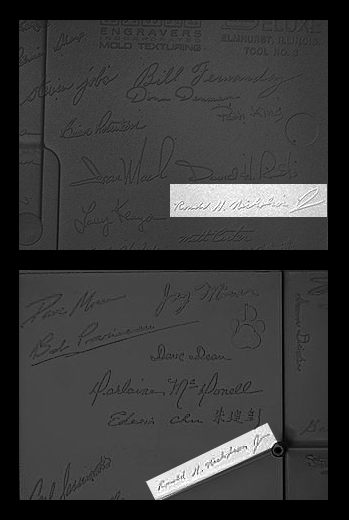 To mark the occasion, they pressed the signatures of all of the team members into the mold of the Macintosh’s rear shell. Open up an early Macintosh and behold the marks of those who made it come to pass. I am aware of only one other machine that was adorned with its engineering team’s signatures: the Amiga 1000. Released in late 1985, the Amiga 1000 features the same sort of interior shell signatures as the Macintosh. And, while the ding made by the Amiga 1000 was less substantial than that of the Macintosh, it was notable for being by far the most capable consumer-oriented computer yet released. Sadly, timing (as in ahead of its time) and marketing held it back. It was signature-worthy, to be sure. So, not long ago I’m browsing Reddit, as one does, and I came across a post showing the inside of a Macintosh, complete with signatures, with the author asking if it was worth anything (because of the signatures). I wish I could find the link. Someone in the comments pointed out that the signatures were standard for several early Mac models, but also mentioned the fact that the Amiga 1000 has such signatures and that one particular engineer has his name written inside both machines. I had no idea that this was the case, and it fascinates me! After a bit of research, I found the man in question to be Ron Nicholson (or Ronald H. Nicholson, Jr., as signed in both machine molds). What’s more, Ron has an interesting past. As his LinkedIn page details, he was “Member of the original Macintosh engineering team. IWM ASIC project engineer. Apple II peripheral engineer,” from 1980-1982. He was a Founder and Director of Engineering at Amiga working as “System and ASIC architect [with] 4 U.S. patents,” from 1983-1984. He has also worked for Silicon Graphics (SGI) on the Nintendo 64 chipset, was a Docent at the Computer History Museum in Silicon Valley, wrote PalmOS apps, and now writes iOS apps under the brand name HotPaw Productions. I felt this to be an interesting bit of history concerning two notable computers from my past as well as, surely, the pasts of many of this blog’s regular readers. This entry was posted in Amiga, Macintosh and tagged 2000, 500, Apple, Commodore, Jay Miner. Bookmark the permalink. Ron also is also responsible for Chipmunk BASIC. That is indeed a very beautiful anecdote, Blake. 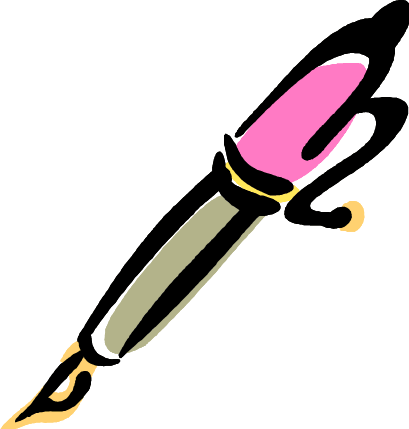 Thank you for sharing it with us here. Ron was also the designer of the Apple SuperSerial card.